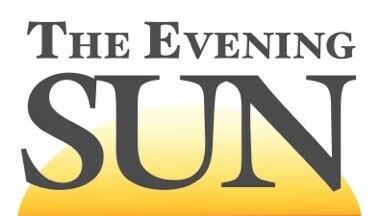 I have spent the past four months as the sports editor of The Evening Sun and now with the return ..
Shaun Savarese Sun Sports Editor sports@evesun.com The Norwich Purple Tornado varsity baseball team had a season to remember. Finishing 10-9, playing in seven one ..
By Shaun Savarese Sun Sports Editor ssavarese@evesun.com The Norwich women’s track and field team won the Section IV Class B Championship, scoring 22 ..
By Shaun Savarese Sun Sports Editor ssavarese@evensun.com The Norwich tennis doubles team of Alexander Stewart and Colin Stewart placed first in the Section ..
Sidney 7, Oxford 2 The Sidney Warriors defeated the Oxford Blackhawks 7-2 in Tuesday’s Section IV Class C playoff. Bill Kozak went ..
Norwich track and field will compete in the Section IV Class B championships in Oneonta today at 4:00. Eight schools, including ..
Evening Sun Report Baseball Windsor 7, Norwich 4 Norwich stranded 16 on base in Tuesday’s loss to the Windsor Black Knights. The Tornado left .. Baseball Norwich 1, Seton Catholic 0 Norwich’s Chris Trevisani pitched a complete game two hitter in Friday’s win over Seton Catholic. Trevisani had ..
Evening Sun Report Softball Oneonta 8, Norwich 1 Oneonta’s Bri Baker threw a two hit, 15 strikeout masterpiece against Norwich, leading her team ..